POBLO works in partnership with a number of charities to give assistance to refugee families being resettled in Michigan, Missouri, Minnesota, Nebraska, Texas and Wisconsin. POBLO missionaries provide assistance with housing, finding employment, transportation, enrolling children in school, and other basic necessities needed to adjust to their new country and new life. For many immigrants and refugees, adjusting to life in a new country poses many challenges. POBLO helps individuals adjust to new customs, laws, language, food, and other aspects of life in the U.S. through classes and one-on-one meetings. Many immigrants and refugees need assistance with basic needs such as food and clothing. POBLO receives food, clothing, and furniture donations from a number of churches and companies around the country. Our missionaries distribute these items to immigrant and refugee families in need. POBLO missionaries help to identify housing for new immigrants and refugees who arrive in the U.S. and have no permanent place to stay. We also provide moving assistance through missionaries and volunteers. Learning English is one of the most basic needs for new immigrants and refugees. POBLO volunteers teach English classes to adults and youth, including classes focusing on professional terminology for doctors, nurses, and other fields. By offering these classes in the church, American Christians are having a significant practical impact, as well as providing a positive impression of the Christian faith and opening up opportunities to share the Gospel. 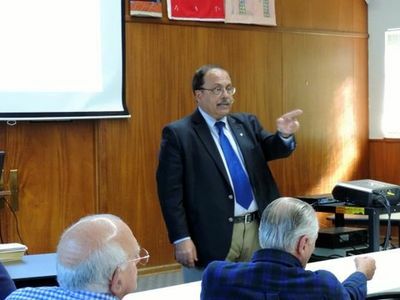 POBLO volunteers teach citizenship classes to recent immigrants and refugees desiring to be more engaged U.S. citizens. Classes provide information on national laws and customs and offer assistance to those studying to take the citizenship test. POBLO volunteers offer sewing classes to the women in their communities. This provides a great opportunity not only to connect with women and form friendships, but also to teach them a practical skill with potential for income generation. Many individuals who convert to Christianity from Muslim, Hindu, or Sikh backgrounds face persecution—even in the U.S. They may be kicked out of their homes or shunned by their families, leaving them in difficult circumstances. POBLO provides counseling to these converts, as well as financial assistance and other physical, emotional, and spiritual help. 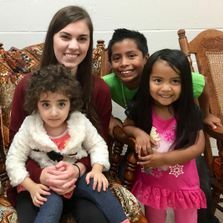 POBLO missionaries and volunteers form friendships with immigrants and refugees, becoming perhaps the first American friend these individuals may have. Friendship and hospitality are powerful expressions of God’s love and help new arrivals feel truly welcomed. It also helps them to overcome the trauma and pain they have experienced due to separation from loved ones back home. Building relationships based on love and trust is the primary way we break down barriers, build bridges, and open doors to share the Gospel. Join our mission of helping people. We offer workshops and seminars on subjects such as Starting Cross-Cultural Outreach, The History of Islam, The Teachings of Islam, Women in Islam, Eastern Religions, Ministry to Muslim Women, The Agenda of Islam in America, and How to Respond to the Challenge of Islam, and Do Not Be Unequally Yoked. POBLO is available to conduct a landscape study of your community to identify key demographics and opportunities for cross-cultural outreach. Based on the information collected, POBLO will work with your church to identify appropriate and culturally relevant strategies for engaging immigrant and refugee populations in your community. POBLO provides the training and expertise for churches to serve their multi-cultural communities through International Friendship Centers (IFCs). 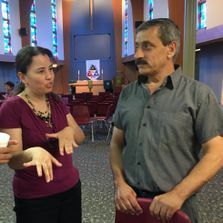 We advise on effective strategies for cross-cultural engagement, building relationships of trust, and sharing the love of Jesus in practical ways. Our hands-on training equips pastors, leaders, and volunteers to teach English, host sewing classes, and engage in outreach by building friendships. POBLO provides a resource called Manual for Cross-Cultural Outreach Through Friendship Centers, written by Dr. Gary Rohwer, which serves as a pre-training manual and ongoing guide for churches starting a center. 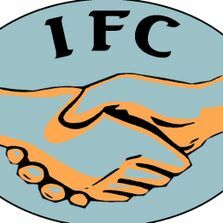 IFCs can begin with a space as small as a social hall or a classroom and a handful of volunteers who desire to serve and have a passion for helping people. POBLO has developed materials for a Bible study series called, An Open Door to the Gospel among Muslims. These resources are available for churches wishing to use them. If you would like more information on how POBLO can empower your church to engage in cross-cultural outreach to Muslims and other unreached people groups in your community or if you would like to request a POBLO speaker at your church, contact us at office@poblo.org or (586) 477-1530. DUE TO FLOODING IN HOUSTON BY HURRICANE HARVEY , THE CONFERENCE HAS BEEN POSTPONED.